Hatsune Miku: Project Diva F powers a 400% Vita sales increase in Japan. 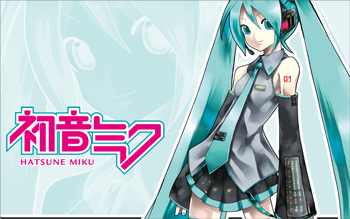 The PlayStation Vita has acquired an unlikely savior in the form of virtual pop star/future robot overlord, Hatsune Miku. The future of Sony's latest handheld has been looking bleaker with each passing week. As the company struggles to attract developers to the platform and stave off hackers, Japanese sales sank to an average of 10,000 units a week, way below those of the 3DS. However, sales shot up to 50,000 with the release of Hatsune Miku: Project Diva F, the latest in a series of rhythm games starring the titular, bobble-headed, voice-synth mascot. The bad news is despite Diva F shifting some 159,000 copies in its first week, a wildly impressive figure for a Japan-only Vita title, it seems unlikely the game will receive a sequel. According to tweets from series spokesperson, Nakanohito, the game is actually selling slower than expected given its huge development costs. He also mentioned that digital downloads account for about 10% of sales. Diva F is the only PSV game on the Japanese top 20 chart. Oddly enough, the game is having a much more successful opening week than Miku's 3DS debut, which only clocked up 88,000 sales in its first week despite the much larger install base of the 3DS. It seems unlikely that the sales boost will be long-lasting. The releases of Persona 4: The Golden and Metal Gear Solid HD Edition (both of which are PS2 ports, if anyone's counting) increased sales in a similar manner, only for those numbers to return to around 10,000 the following week. It turns out Miku is quite nice when she's not crushing old ladies.